del Hoyo, J., A. Elliot, and J. Sargatal, eds. Handbook of the Birds of the World. Vol. 6, Mousebirds to Hornbills. Barcelona: Lynx Edicions, 2001. 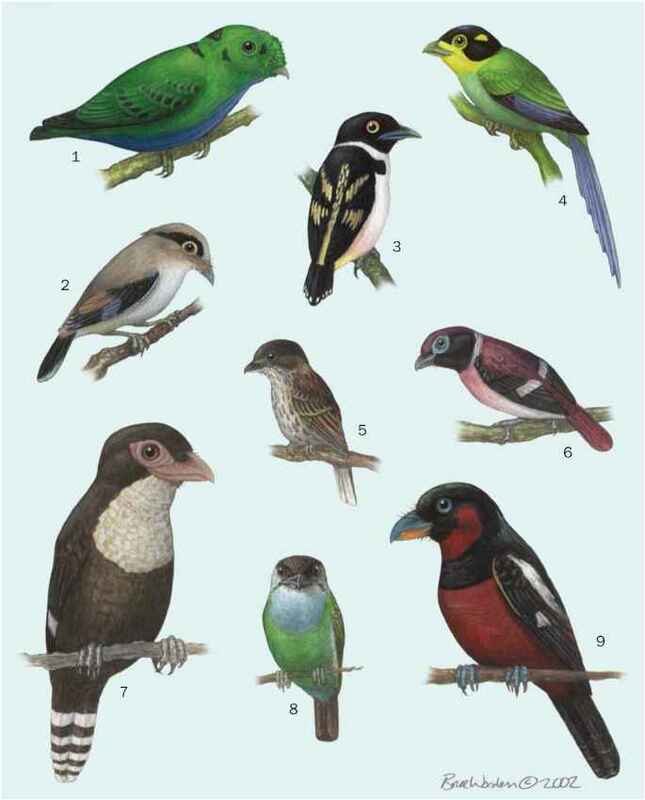 Feduccia, A. R. The Origin and Evolution of Birds. New Haven: Yale University Press, 1999. Forshaw, Joseph M., and W. T. Cooper. Kingfishers and Related Birds. Vol. 3, Todidae, Momotidae, Meropidae. Sydney: Lansdowne Editions, 1987. Stiles, F. G., and A. F. Skutch. A Guide to the Birds of Costa Rica. London: Christopher Helm, 1989. Stotz, D. F., et al. Neotropical Birds: Ecology and Conservation. Chicago: University of Chicago Press, 1996. Becker, J. J. "A Fossil Motmot (Momotidae) from Late Miocene of Florida." Condor 88 (1986): 478-482. Delgado-V., Carlos A., and D. M. Brooks. "Aberrant Vertebrate Prey taken by Neotropical Birds." Cotinga (2002) (in press). Olson, S. L. "Oligocene Fossils Bearing on the Relationships of the Todidae and Momotidae (Aves: Coraciiformes)." Smithsonian Contributions to Paleobiology. 27 (1976): 111-119.